Treatments are preferably by appointment and can be booked by phone at 819-332-1933 or directly through the contact page. New clients! 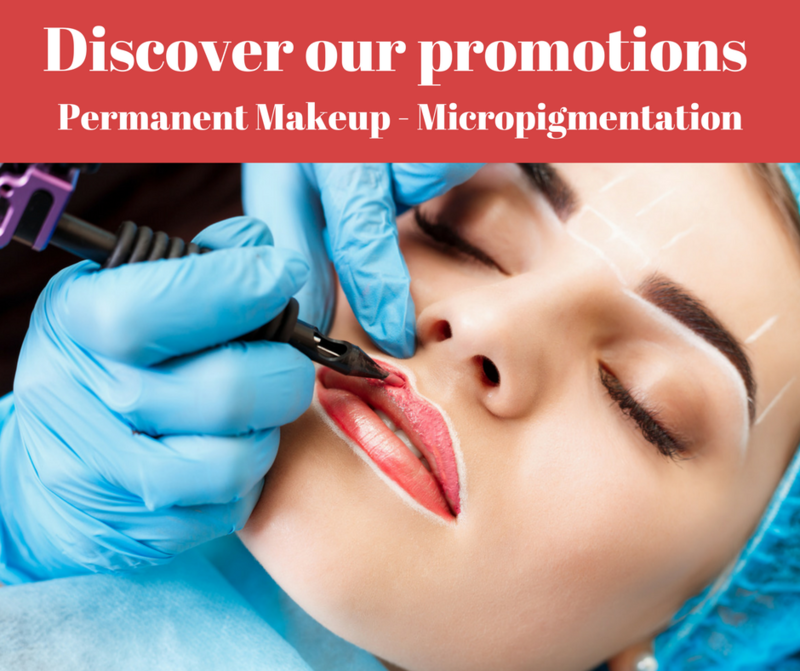 A $5 discount is offered on treatments worth $25 and more! You are a client already! Accumulate a $5 discount for every referral you send me. In addition, obtain a chance to win in our annual December 31st draw, for each referral you have sent at the spa! You also get 10% off on a treatment of your choice for your birthday! You have two months to use it, so enjoy it! Cancellation policy in effect! See the contact page for a small reminder. 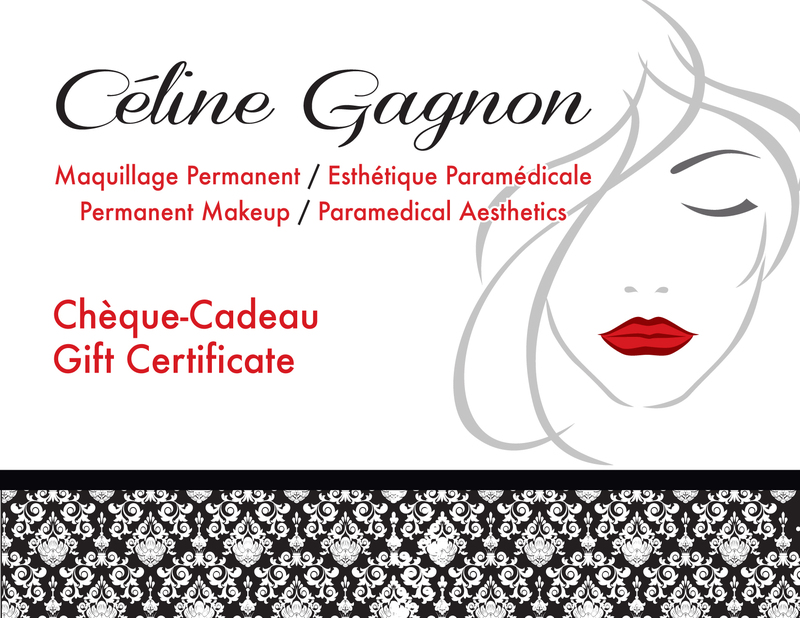 Thank you for supporting my local business by purchasing your products, services and gift certificates on line at Céline Gagnon, Permanent Makeup / Paramedical Aesthetics. Purchase your gift certificates in a minute, print, personalize and offer them with love. See you again soon or to welcoming you for the first time.